Like most municipalities, the California Inland Empire city of Ontario has scrambled to keep up with technology and social media. It is an even more crucial process for the people on point to bring business and tourism into town. Oxanart cited a wonderful example of how Ontario is retrofitting, and installing new technology at the same time. Previously, only administrators could use OntarioNet, a broadband service, within the Ontario Arena. Now, the public can jump on. What does that mean? “Let’s take a concert,” Oxanart said. “They can push flash promotions like upgrading seats after people arrive, offer snap discounts on hot dogs ten minutes before intermission … they can create promotions to enhance the experience.” And concertgoers will also feast on the new interactive scoreboard. 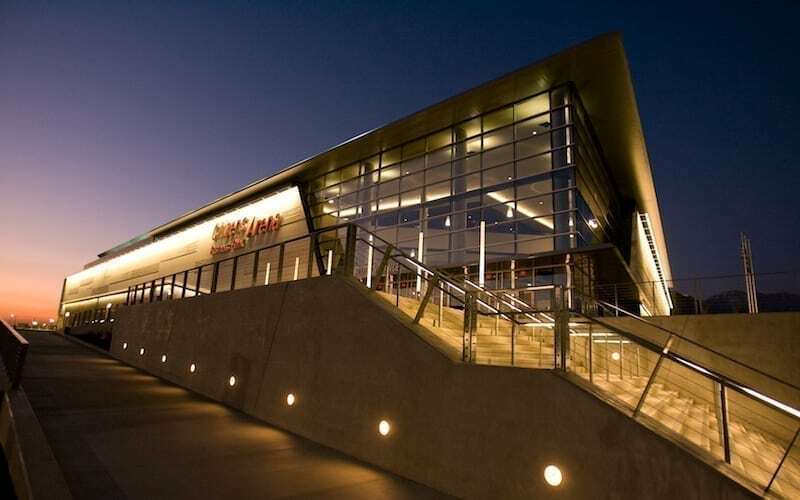 The GOCVB serves the western edge of the Inland Empire, focusing on its incredible geographic location, a 225,000 square-foot convention center and a population base of 4.7 million. Ontario is an hour east of downtown LA, and less than two hours from San Diego, 45 minutes from Orange County. Its growing airport now is starting to bring in international flights — China Airlines being the latest. “You can ski in the morning in Big Bear, ride dirt bikes for awhile in the desert, and still get to the beach in time to surf or visit Hollywood before dark,” Oxanart says. Numerous tech and manufacturing businesses are flocking to the area, which also promises excellent year-round weather and one of the world’s busiest malls, Ontario Mills, which greets 28 million shoppers annually — all of whom pass by the interactive and digital California Welcome Center kiosks, operated by GOCVB. Community involvement is huge in Ontario, a recent Sunset Magazine travel award finalist. Oxanart noted how GOCVB likes to tie larger corporations as well as smaller local businesses into major event draws, such as the Route 66 Cruisin’ Reunion, which brings 250,000 people to town every September. The 2018 version, taking place Sept. 21-22, will feature 1,500 classic cars, live entertainment, food booths and more. Another is Christmas on Euclid Ave., featuring two miles of the old Route 66. Residents have displayed nativity scenes and lighting since 1922.